Colour Academy has placed in the top 60 business entries this year, out of a total 223 applications. 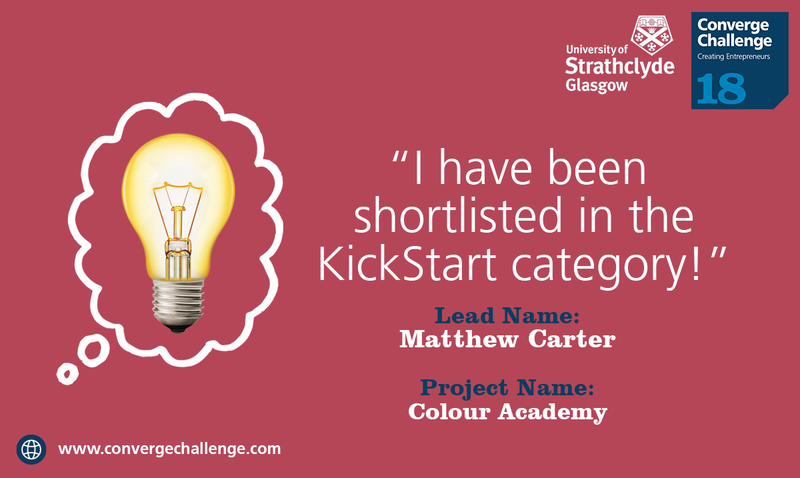 Colour Academy was entered to the converge challenge under the ‘Kickstart’ category, if successful, the kickstart category offers £5000 in grant money. The Converge Challenge is Scotland’s leading higher education company creation programme and has helped business secure over £64 million. As founder, Matthew Carter will now get to attend a two day training workshop fun by the Entrepreneur Business School. The next stage of the competition involves submitting a five page business plan for the grant funding, winners announced September 2018. Read more about the Converge Challenge Top 60 2018. This entry was posted in Funding and tagged Colouring Books, Funding.